Would you like to have beautiful nails? Yeah,sure,good nail care keeps your hands and feet looking nice.We all know ladies love their nails,but not everyone knows how to take care of their nails.Here are some tips for you to take good care of your nails. Cuticles are the strips of skin that form a “seal” between each finger and fingernail. Dry or ragged cuticles can lead to hangnails or nail bed infections, and cuticles can overgrow, becoming unseemly. The easiest way to prevent this is to keep your cuticles moisturized. When completing any household chores than involve hot water or chemicals, wear dishwashing gloves to protect your hands. The chemicals in certain household cleaners can irritate your skin, leaving it dry and cracked, or interfere with cuts and scrapes, leading to a higher chance of infection.So wearing gloves is a good way for your nails. There is no reason to have super long nails. Not only that it’s unpractical, but it makes you look a bit slutty. Keep your nails at length that doesn’t come in a way of your every day chores and clip them regularly. Nails that are too long are also much more prone to breaking.It may have happened to you. Yes, colorful nails are quite cool, but nail polish actually does a lot of damage to your nails. 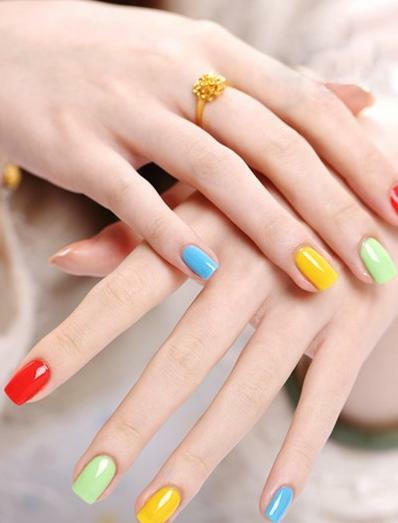 The reason is that nail polishes contain acetone, which makes your nails soft. Don’t manicure your nails more often than once a week and buy only high quality nail polishes.This is very important. Do not bite or pick them. Bitten nails are more easily infected.Also, watch what you eat, as a poor diet will show in your nails. A diet rich in protein, biotin, essential fatty acids and calcium can help improve the appearance of your nails in the long run.